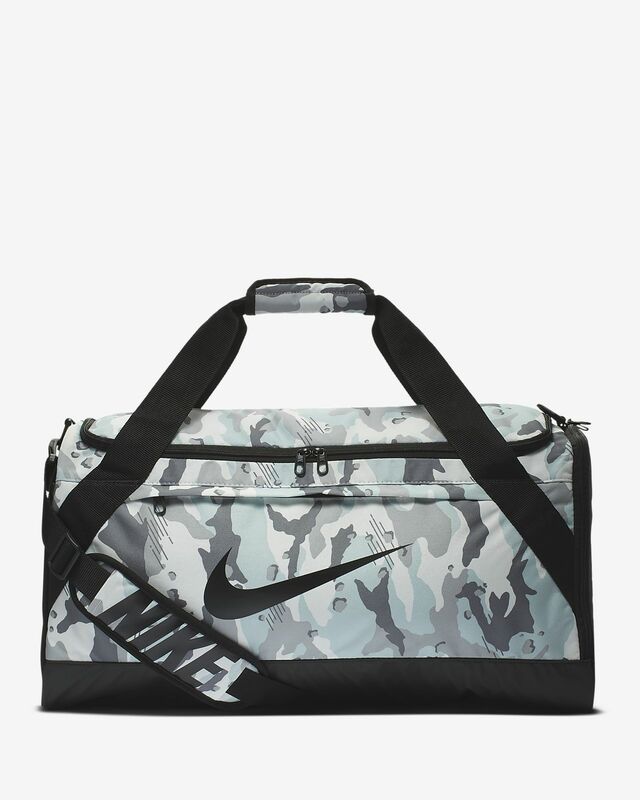 The Nike Brasilia Bag features a durable design and a spacious compartment built for the daily grind. 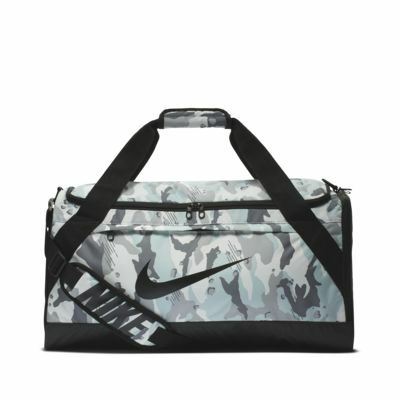 Its padded shoulder strap offers comfortable carrying, while a mesh exterior pocket provides convenient storage. Zip main compartment provides ample storage. All-over camouflage print for a bold look. Dimensions: 61cm L x 28cm W x 33cm H approx.